One for the desk: FurnX’s John Auld (left) and Robert Clements with their Office Brands 2017 furniture category supplier award. 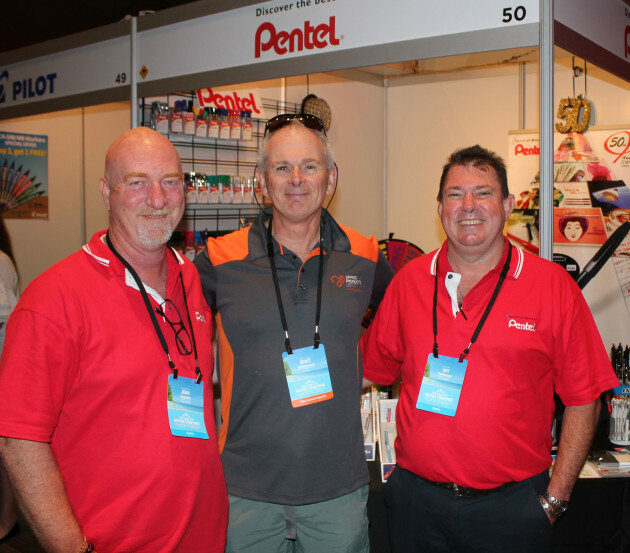 Dealer groups Office Brands and Office Products Depot New Zealand presented respective 2017 supplier of the year awards at their combined EXPO in Cairns last weekend. Pentel Australia’s Alex Streeter (left) and Ian Petterson with OPD New Zealand’s member of the year winner, Brett Williamson (Bay OPD Tauranga). 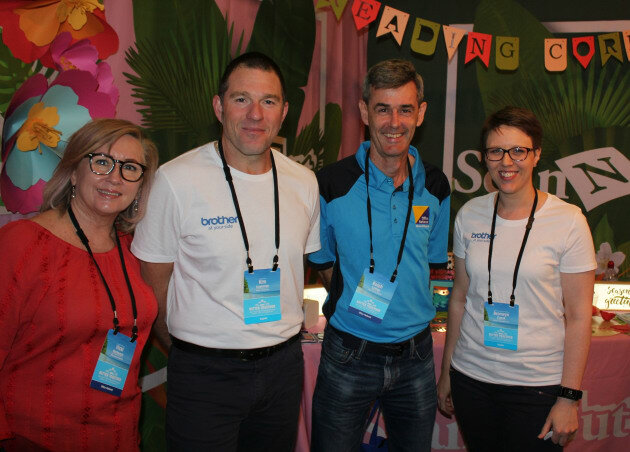 From left, Vicki Motteram (Office National Balcatta), Kim Lawrence (Brother Australia), Ralph Livings (ON Balcatta) and Bronwyn Campbell (Brother Australia). From left, Simone Moolhuysen (That Office Place), Paul Yardley (GNS), Renato Moolhuysen (That Office Place) and Dragi Ristevski (GNS).